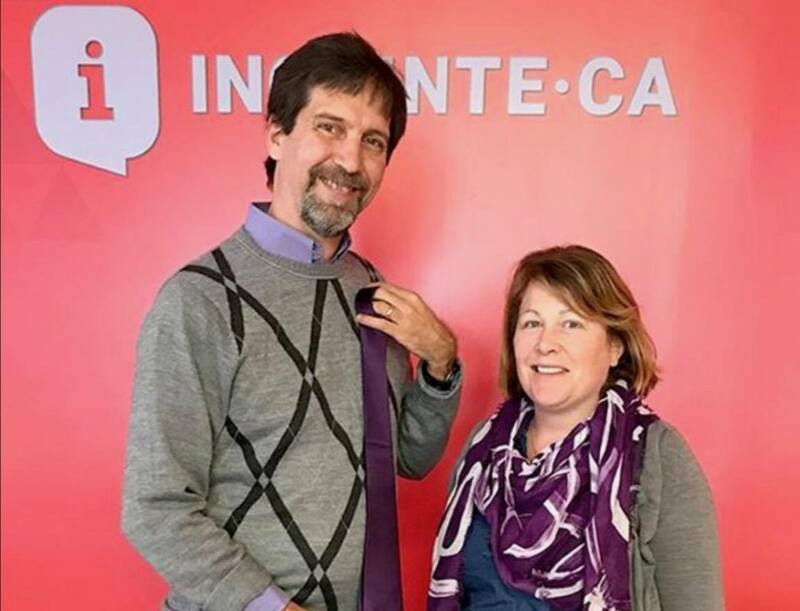 BELLEVILLE – If you see men around the community wearing purple ties, it’s because they are spreading awareness for Women’s Abuse Prevention Month. November 25th is the day International day for the Elimination of Violence Against Women. 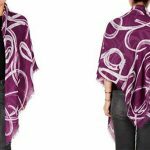 For the past four years, women’s shelters across the province, including Belleville’s Three Oaks Foundation, has been selling purple scarves to raise money for the prevention month. 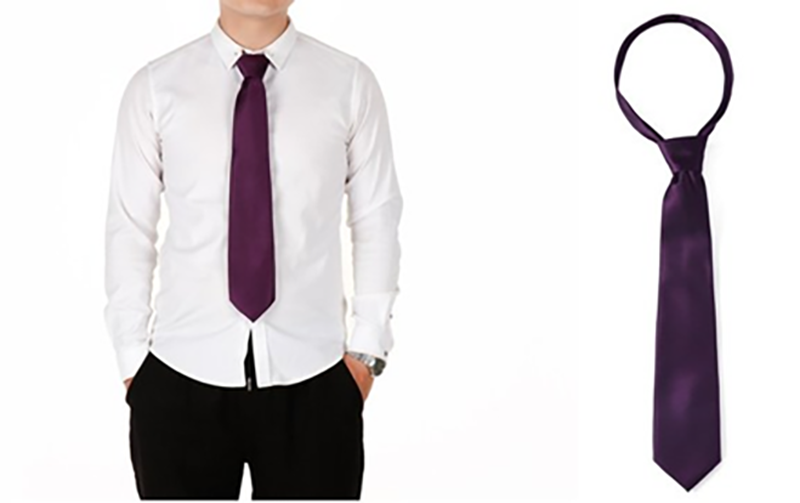 This is the first year where the local shelter has decided to sell and hand out purple ties to positive male figures within the community. 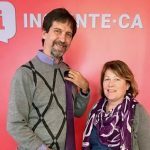 “We have been going out to the community with selected men in our community, that different staff have had input on and who we felt could be male allies…,” said education and training co-ordinator, Kristen Farrell. 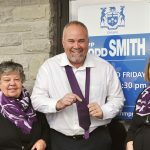 Some of the local men who have received purple ties include: MPP Todd Smith, MP Neil Ellis, MP Mike Bossio, Belleville city council, Tyendinaga city council and InQuinte journalist Bill Glisky. Glisky said he was honoured and surprised that Three Oaks had thought of him when giving out these ties and that everyone should speak out about this issue. “I feel the biggest thing that all men can do on this issue is have no tolerance for this issue. I think for too long these kinds of things have been dismissed or taken to lightly or made excuses for, there should simply be no tolerance for any physical, emotional, or any kind of abuse for women in any situation,”said Glisky. Tyendinaga Township Reeve Rick Phillips said that he has an important role to speak out about this issue. “We have to treat everyone equal and throughout history it is more evident that, that hasn’t happened… and its time people like myself and people in position spoke out more and I think that’s whats expected of us and me,” said Phillips. Sandy Watson-Moyels, the shelter’s executive director, said that the number of women who have needed their services this year are “over the top.” She said it usually assists 130 people. By the end of October, Three Oaks had helped 161 women. She said those numbers are staggering to people because they don’t realize how many women need those emergency shelter services. 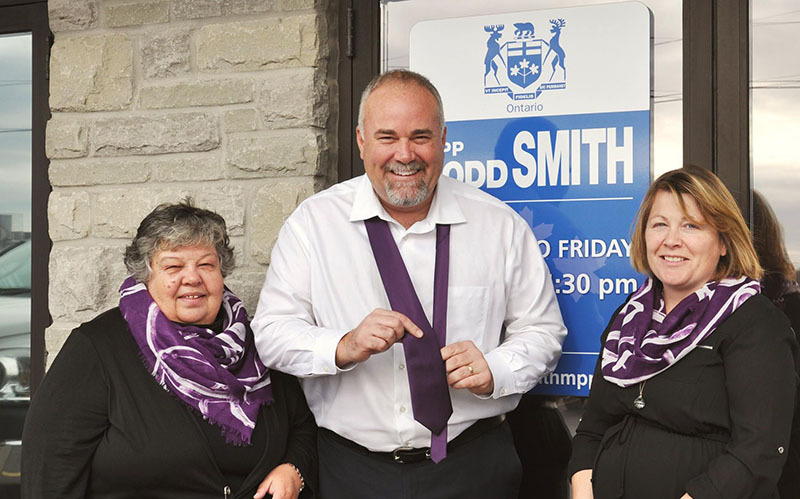 If you are looking for more information on supporting the campaign contact Kristen Farrell at 613-962-1234 ext 307. Women Abuse Prevention Month- Explainer from QNet News on Vimeo. 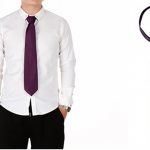 Video by Madeleine Villa, QNet News.